Are you looking for unforgettable adventure in Great Caucasus mountains? Do you want to taste your abilities in high mountains? 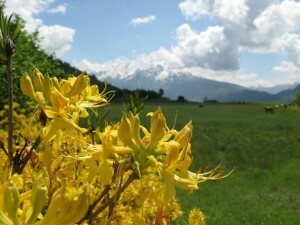 Do you want to enjoy wild nature of the most beautiful part of Great Caucasus – Svaneti? 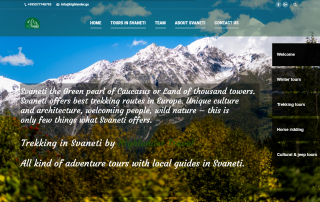 Then Svaneti trekking tour is for you. 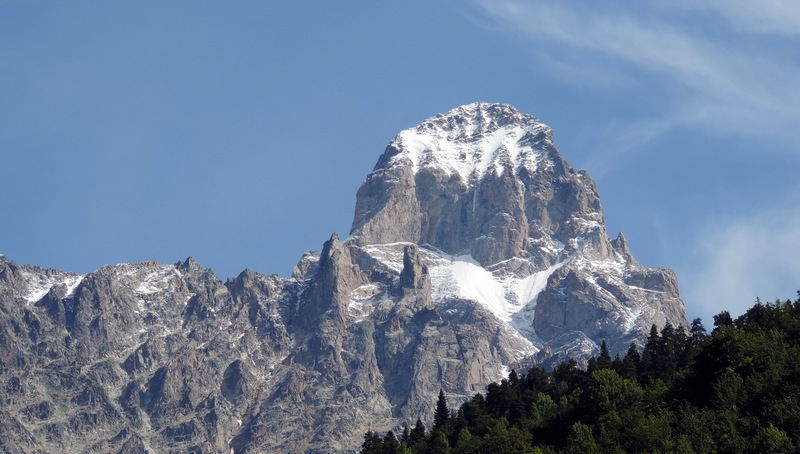 Actually this tour contains part of shorter tour – 4 days hiking in Svaneti, but here are added 2 days, which covers Ushba glacier and trekking from village Becho to Mestia via Guli path. By groups request we can organize trekking in Svaneti even for 9 days. During trekking is also available to sleep in guesthouses, then you will not need to carry sleeping bags and tents, and to sleep in tents. 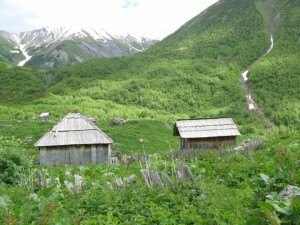 Day 1: Arrival to village Becho – upper Svaneti. Rest in guesthouse. Walk around the village and prepare for trekking. Day 2: Hike to Shikhra valley, visit Shdugra waterfalls and hike to Ushba glacier. Return to the village. Total distance 16 km. Day 3 Start hiking to Mestia, via Guli pass. 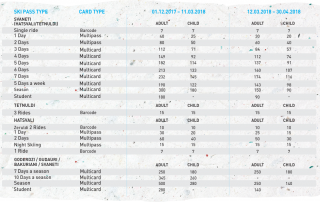 Total distance – . Maximal altitude during the trail – . Arrival to Mestia, check in guesthouse. Rest. Day 4 Trekking from Mestia to Jabeshi. Sleep in Jabeshi guesthouse or camp there. Total distance 12 km. Time needed 6-8 hours. Trail starts at elevation 1500m above the sea level, maximum elevation is 1900m and ends at 1600m. Day 5 Trekking from Jabeshi to Adishi. Sleep in guesthouse or camping. Trail leads from the valley Mulakhura to Adishischala. Trail ends at elevation 2100m. Day 6 Trekking from Adishi to Iprali village. Sleep in guesthouse or camping. Maximal elevation 2700m. Trail ends at elevation 1900m. Day 7 Drive from Iprali to Ushguli. Walk in Ushguli hike to Shkhara glacier. Return to Mestia by car. Check in guesthouse. End of Svaneti trekking. Day 8 Departure from Mestia to Tbilisi. 1. In case of guesthouses: Accommodation and half board meals in Becho, Mestia, Jabeshi, Adishi and Iprali. 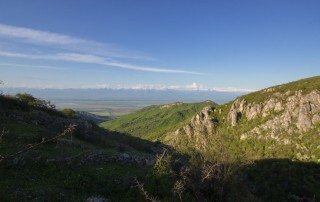 Transport from Iprali to Ushguli and from Ushguli to Mestia. Guide service. Horses between Jabeshi and Iprali to cross the rivers. Road to Mestia isn’t included. 2. In case of camping: Accommodation and HB meals in Mestia. Horses between Jabeshi and Iprali to carry luggage. Guide service. Transport from Iprali to Ushguli and from Ushguli to Mestia. Road to Mestia isn’t included. For 4 traveler is counted 1 horse. If more horses will be needed, then travelers must pay for them additionally. 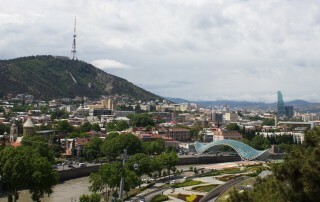 Additionally you can order transfer from/to Tbilisi, Zigdidi or any other place to Mestia, if regular flights will be available, then we will book flight tickets to Mestia for you.